Pelargoniums are wonderful for colour in the summer. 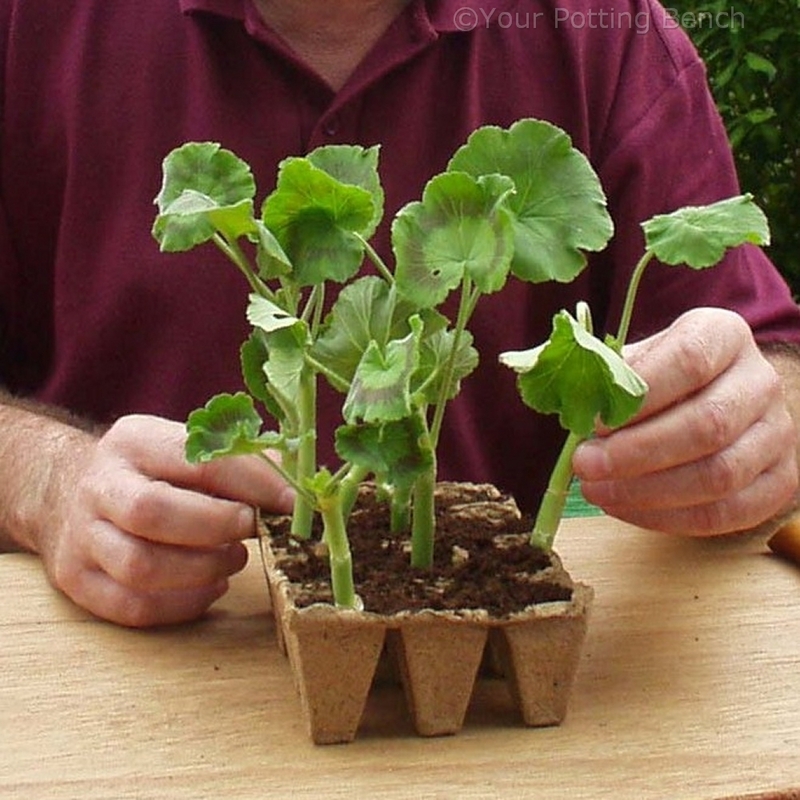 They are also really easy to root from cuttings. 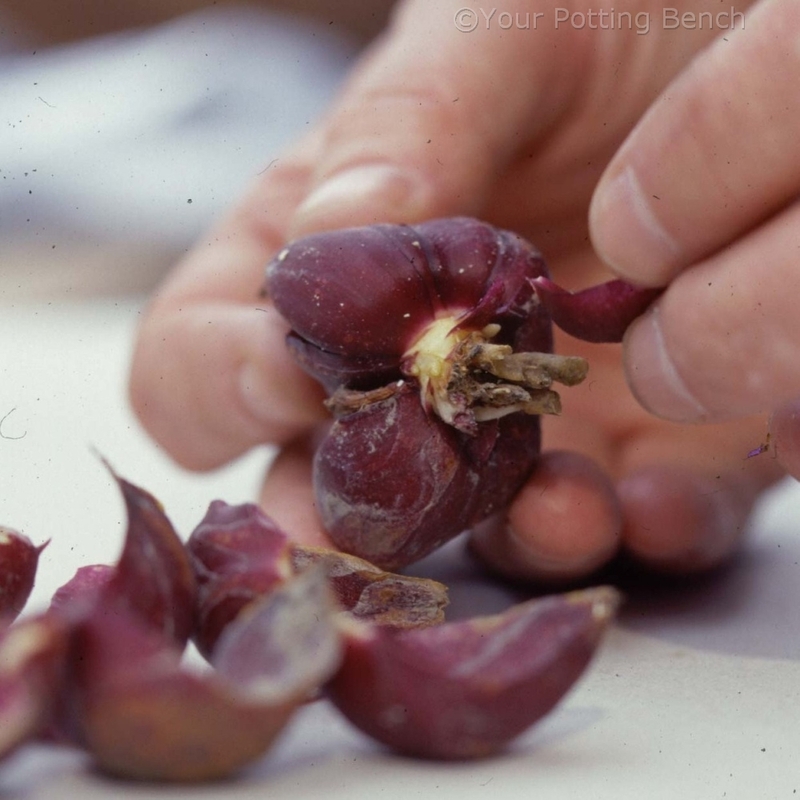 Choose a strong, healthy looking shoot and remove it from the mother plant using a clean, sharp knife or secateurs. 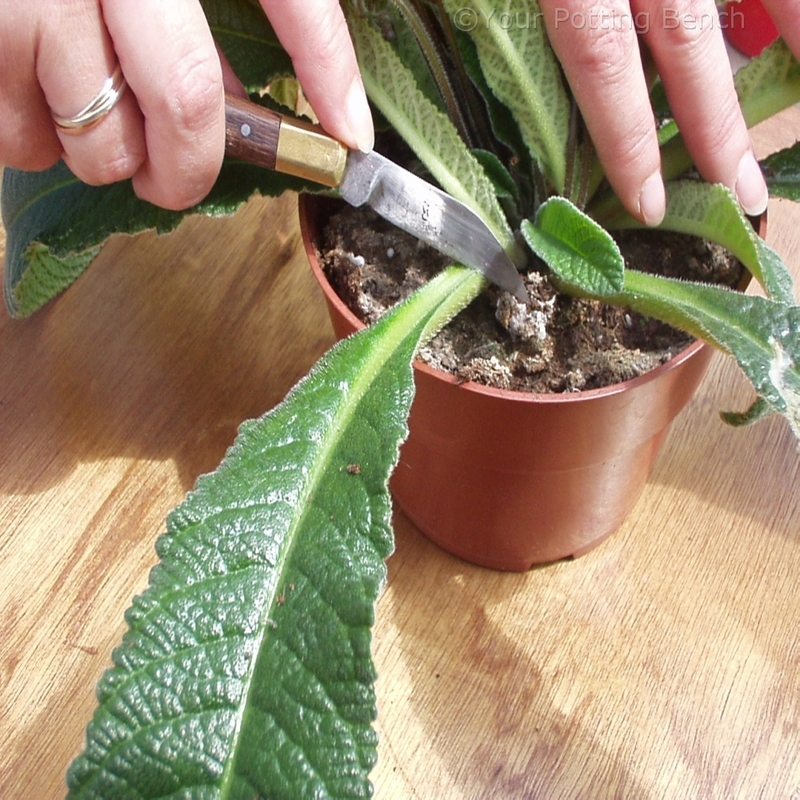 Trim carefully just underneath a leaf joint. 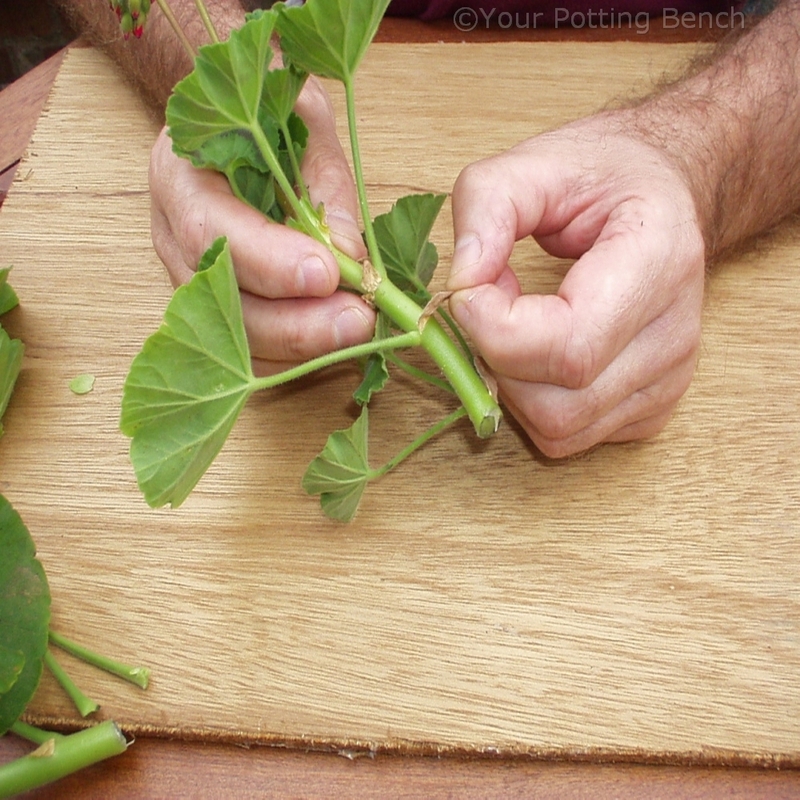 Remove the leaves and small stipules (brown bits) from the lower third of the cutting by pulling carefully. 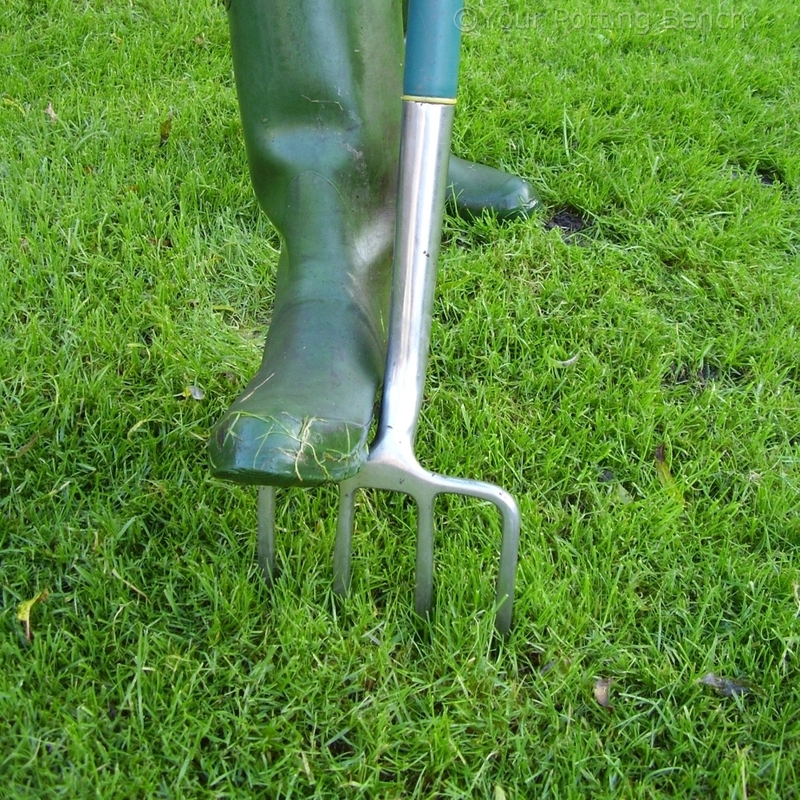 Always take cuttings from non-flowering shoots if possible. 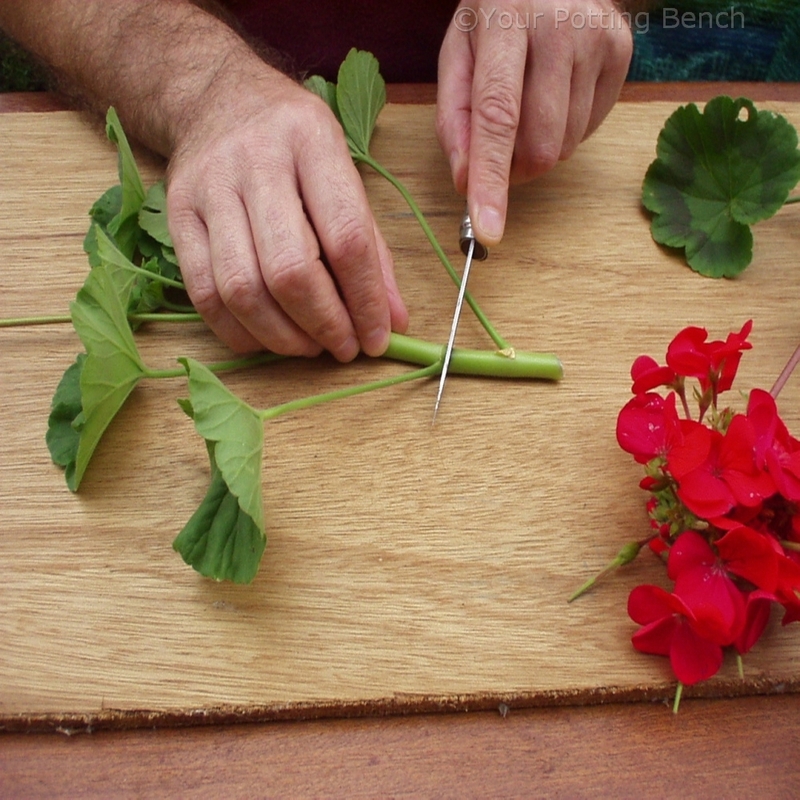 If you have to use a flowering shoot, remove all the flowers and buds. 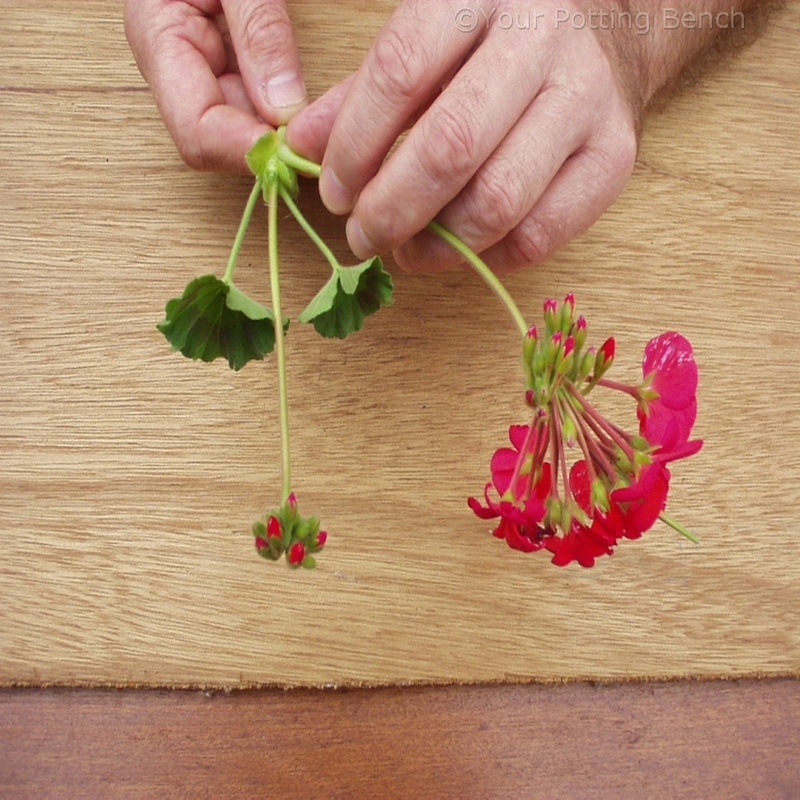 Never use rooting powder or gel on Pelargoniums (the base will rot). 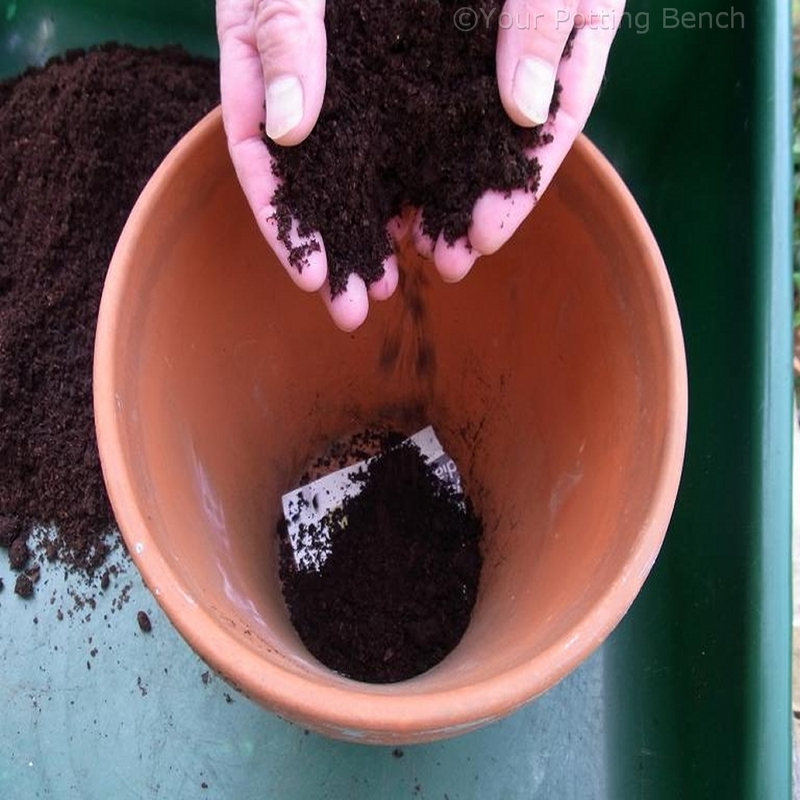 Insert the cuttings into fresh, sterile cuttings compost. Water to settle and place in a well lit area out of direct sunlight. Within two to three weeks roots should start to form.